Those cowboys in the designated circles are the bumpers or targets, I think. And the bull … is … the ball? Well it is a bull, so there’s that. The bull-ball has a launcher which is … itself. It’s an angry bull, which is all it really needs to be. 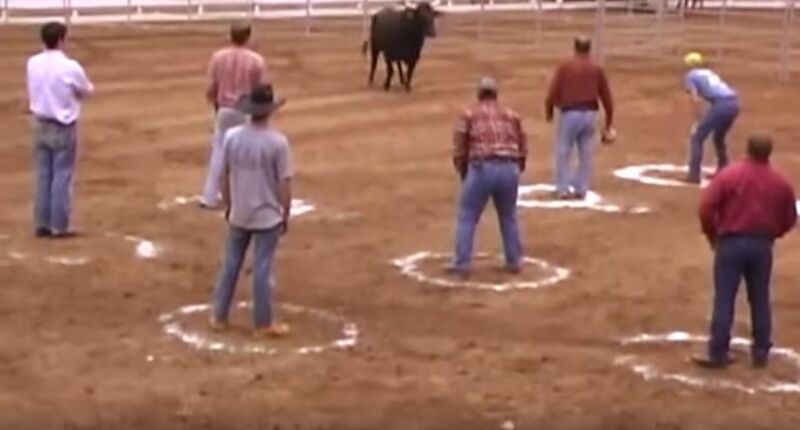 The goal of the contest is to not run out of the circle when the freaking angry bull comes charging at you.